This Super Mario Party was full of fun! Each guest was given a gamer pass, a hat or crown, and enjoyedjumping in Bowser's castle. Today I'm sharing the love with a bunch of free printables from the party, and some tips for making your Super Mario party swoon-worthy. This party was full of Mario related goodies and each kid went home with a Nintendo Hershey bar. The dessert table at this party was a hit with Cupcakes, "Brick Brownies", "Yoshi Eggs", Gold Coins & Mario's Mustaches. Guests drank "Power Up Potion" and enjoyed making pizza's for lunch at Luigi's kitchen. 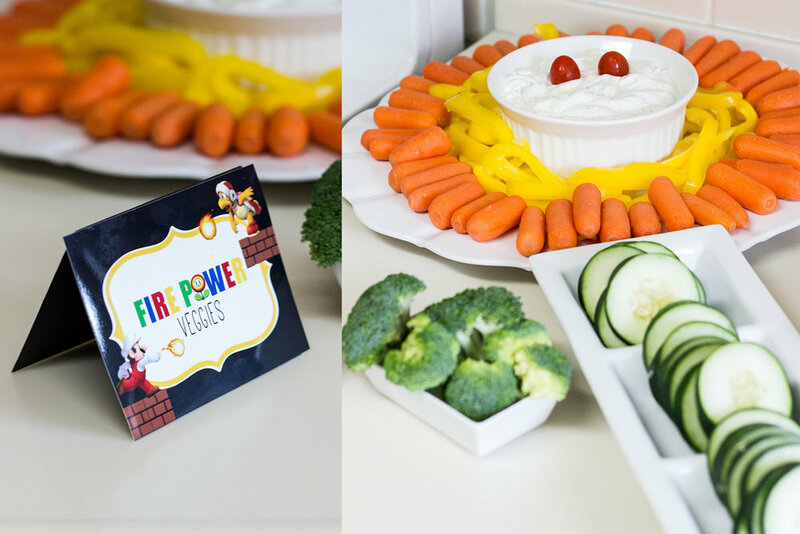 Scroll down to view all the photos and grab your free printables to decorate your Mario Party. Get your own 8x10 "Grab a Hat/Crown" by clicking the link. 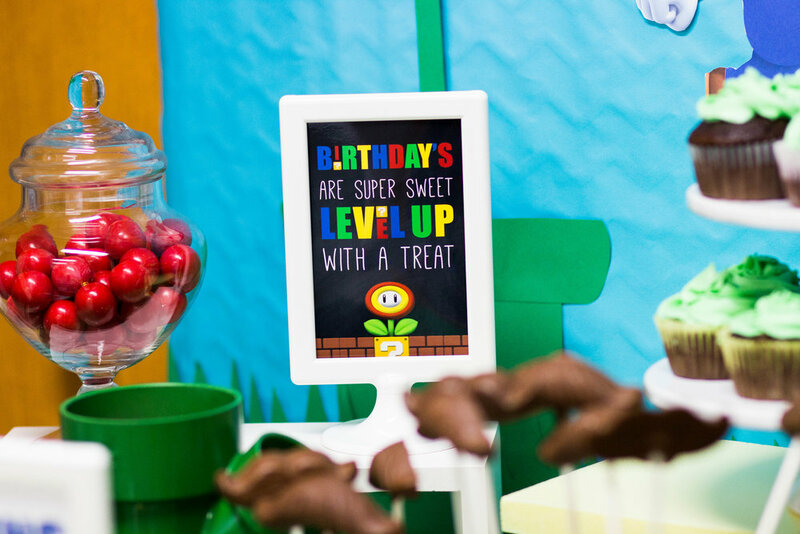 The customized "Let's-A-Go Play" party sign can be found in our Etsy shop here. These food cards and custom designed cards can be purchased here. These white 4x6" frames from Ikea are my absoulute favorite for parties. You may have noticed, I use them for literally everything! Check out our "Amazon Party Essentials" links below to grab your own. Mustaches - Made with a fun candy mold.